Just because you’re a runner, doesn’t mean you can’t have a little fun, wearing costumes for running. Some of our favorite races are perfect for running in costume, in fact – many of them actually encourage it. Especially when it’s Halloween. Gearing up for your own Halloween inspired running event? 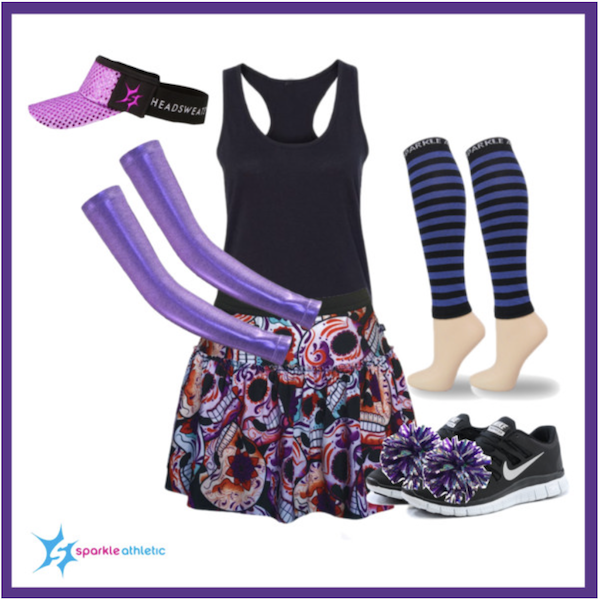 Trying to find (or make) your very own costumes for running? Luckily, we have plenty ideas for running costumes. Assembling this Halloween inspired Sugar Skull Skeleton running costume is pretty self-explanatory… but once you’re dressed, voilÃ ! A Halloween inspired running costumes DIY style.